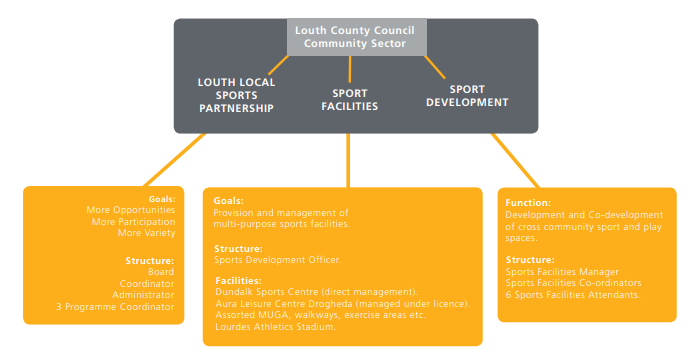 Louth Sports Unit was established in 2014and it oversees the development, operation and use of Louth County Council’s sports and play facilities. LLSP’s role within the Sports Unit is to support sustainable participation in sport and physical activity in County Louth for everyone.We do this by working with individuals, communities and agencies to identify the participation sports needs of the county and we then work with others to realise the programmes and events which respond to these needs. 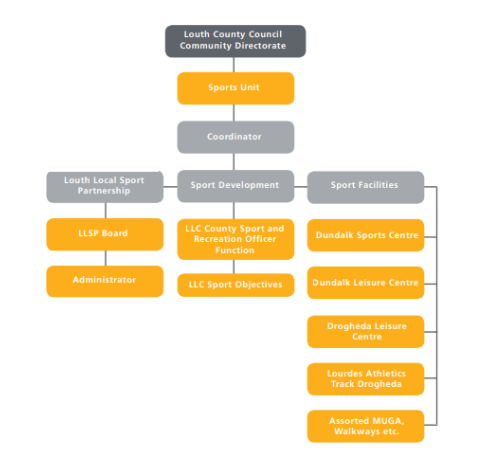 Through the development and delivery of a range of programmes such as Buntús, Code of Ethics Workshops, Funding Advice Workshops, Girls in Action, Go for Life, Sport Taster days and Adapted Physical Activity programmes, LLSP has worked with a variety of organisations since 2008 to grow sports participation inCounty Louth.